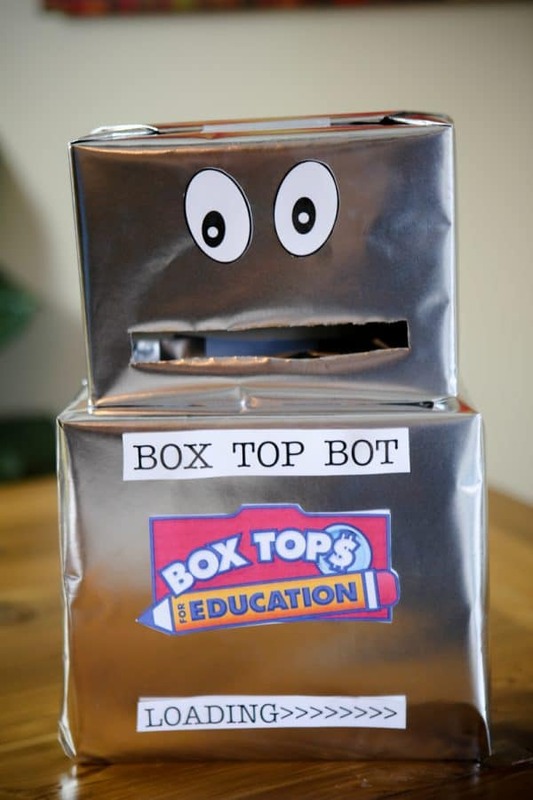 My kid’s school has lots of fun incentive programs to help raise Box Tops for Education every year. A few month’s ago my son’s class won the pizza party for most Box Tops collected at his school. The kids had so much collecting Box Tops! This past year my kid’s school was able to take funds raised from Box Tops in combination with other fund raisers the school had to help remodel our media center. They were able to add lots of new books, reading areas, new computers and new desks. The space was remolded to be a better space for students to collaborate and be creative together. 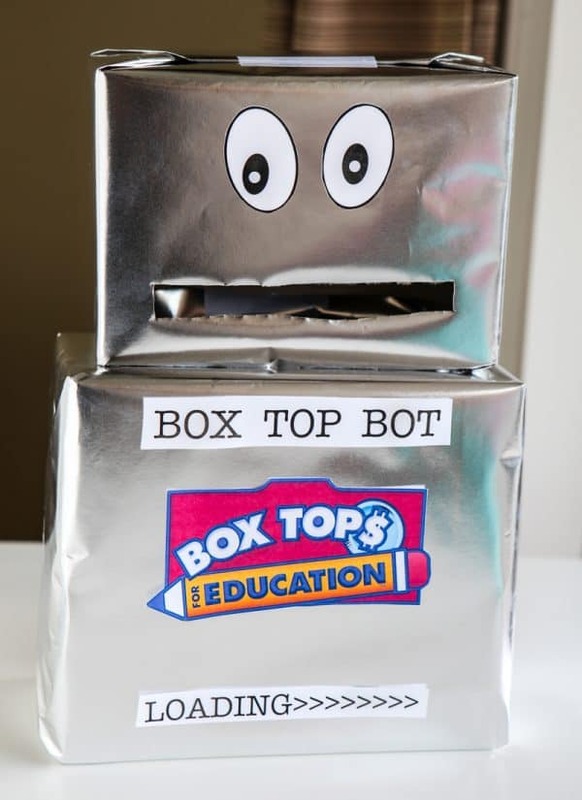 Every year the funds earned from Box Tops help to improve our school. It’s all about continuing to improve our school for the students to make a better place learning environment. Box Tops helps make being a better school so much easier! 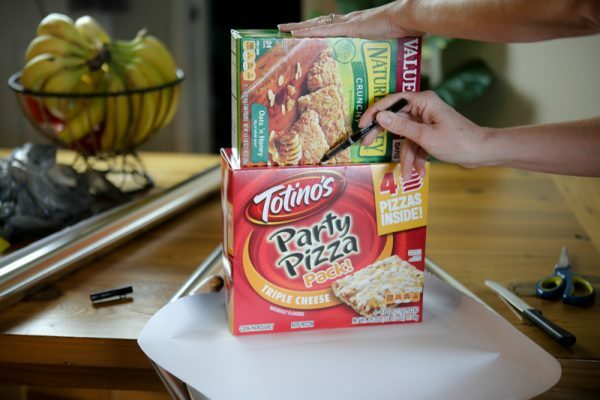 There’s an amazing new way to collect Box Tops for our schools. 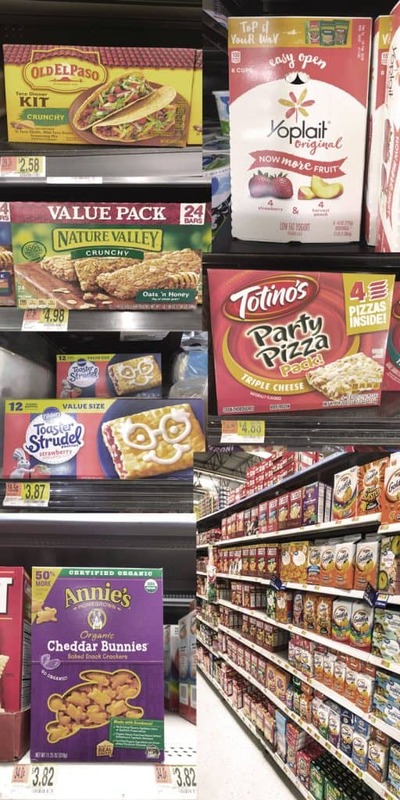 Buy 5 participating items at Walmart and scan your receipt with the Box Tops Bonus App and earn $5 (50 Bonus Box Tops)! Offer available through 1/31/18. For this offer, you’ll need to download the New Box Tops Bonus App. 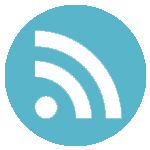 Download the Box Tops App at iTunes or Google Play. Now you can earn even more cash to help your school get what it needs through the Box Tops for Education® Bonus App. 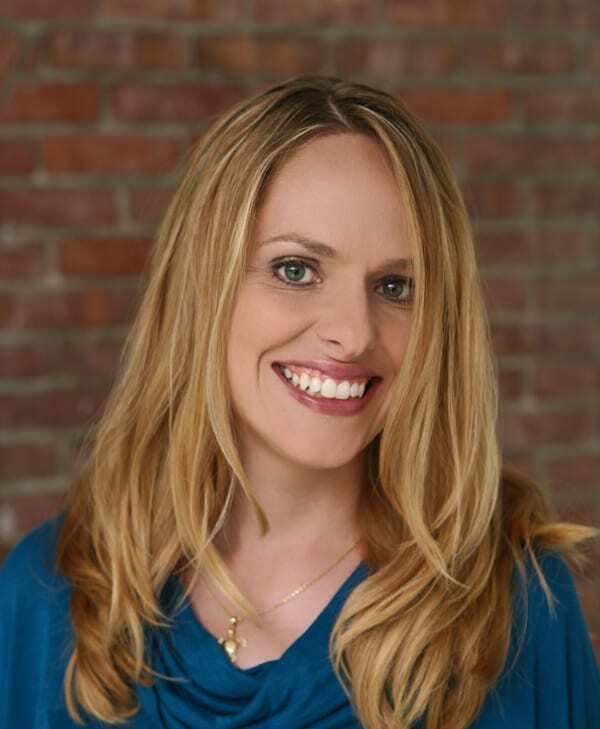 Now you can turn your everyday receipts into cash for your school! It’s free and as easy as can be. 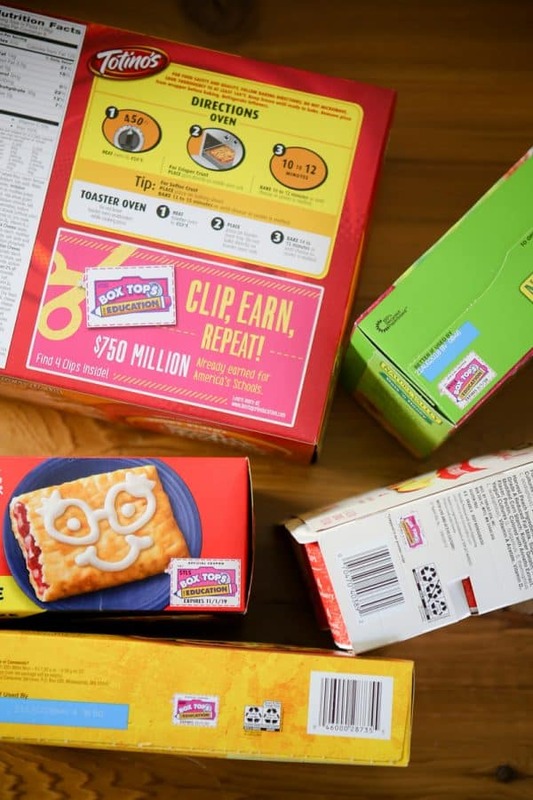 Here’s how the New Box Tops Bonus App works. 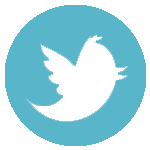 First you find offers and buy products. Then just scan your receipt. Next watch the earnings stack up. 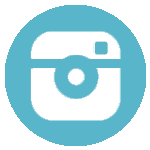 You can earn Bonus Box Tops in the Box Tops Bonus App in combination with the on-pack Box Tops clips and any other coupon, discount, store program or promotion. 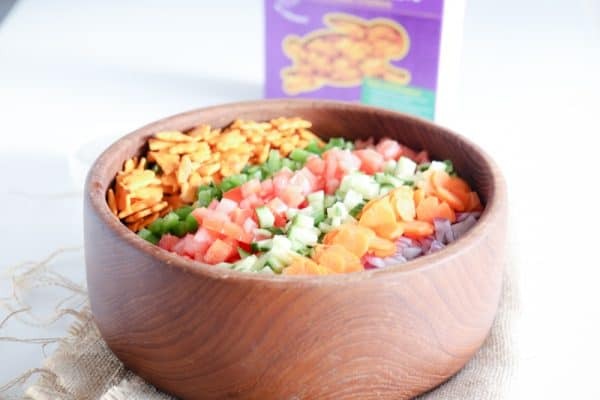 I found Annie’s™ Cheddar Bunnies used in the chopped salad shown in the photos below at Walmart (they’re one of the participating products too!) as well as these other great products shown below. 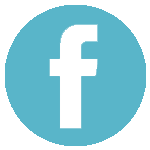 Did you know you can earn cash for your school on over 500 products at Walmart? 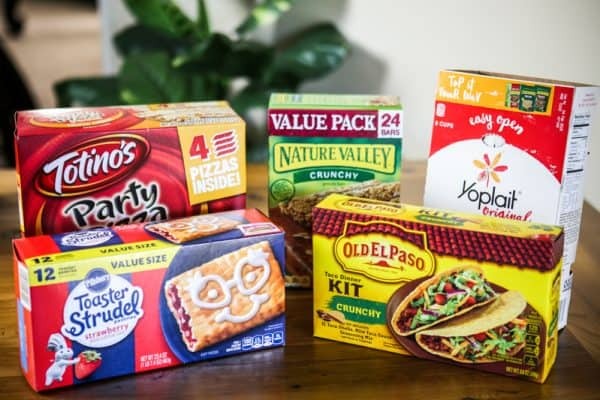 Shown below are: Yoplait® Original Fridge Pack, Nature Valley™ Oats N Honey Granola Bars, Totino’s™ Combination Pizza Party Pack, Pillsbury™ Toaster Strudel™ and Old El Paso™ Taco Dinner Kit, which can all be found at your local Walmart. 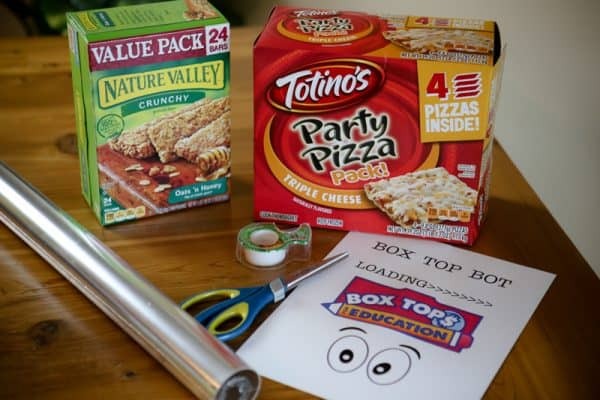 My son loves to collect box tops, especially since they have competitions at his school and fun prices like pizza parties! So yesterday my son and I made this fun little Box Top Bot with the Annie’s™ Cheddar Bunnies box. 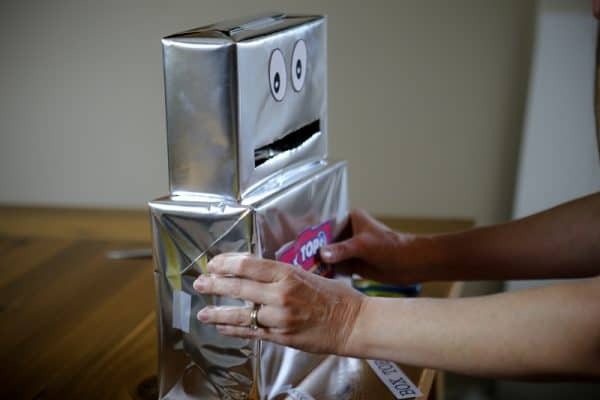 We started with the materials shown below: a Nature Valley™ Oats N Honey Granola Bars Box, a Totino’s™ Combination Pizza Party Pack Box, tape, silver wrapping paper, scissors and this PDF printable, BoxTopBot. Not shown, we also needed packing tape and a chef’s knife. 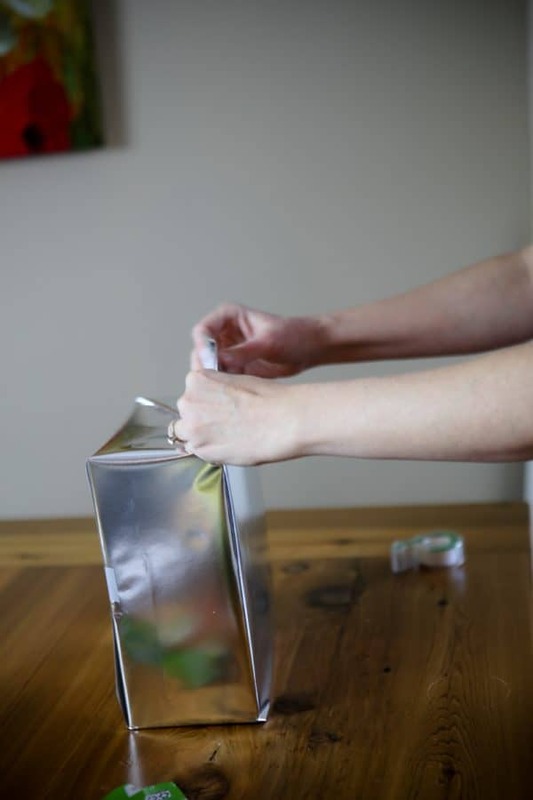 To start just make an outline of the smaller box on the larger box like so. Then cut out the square about 1/4 inch within your line like so. 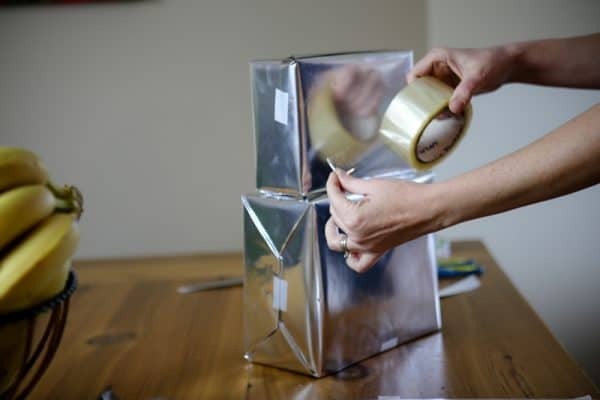 Next, cut the smaller box like so. So they’ll connect like this. This way when you feed the bot it will drop down into his tummy. The next step is to cut the mouth for the bot in the smaller box. I cut a long rectangular shape here. 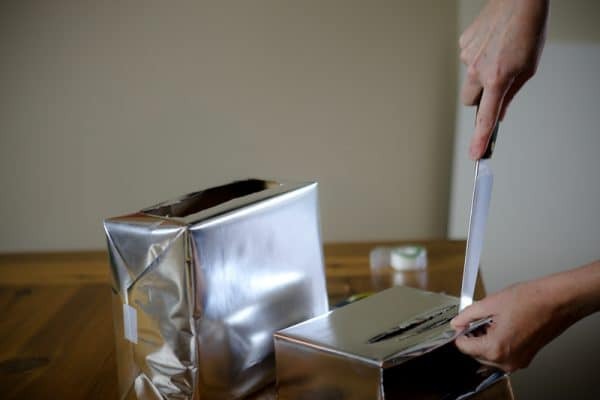 Then you use the silver wrapping paper (or aluminum foil!) to wrap the boxes. 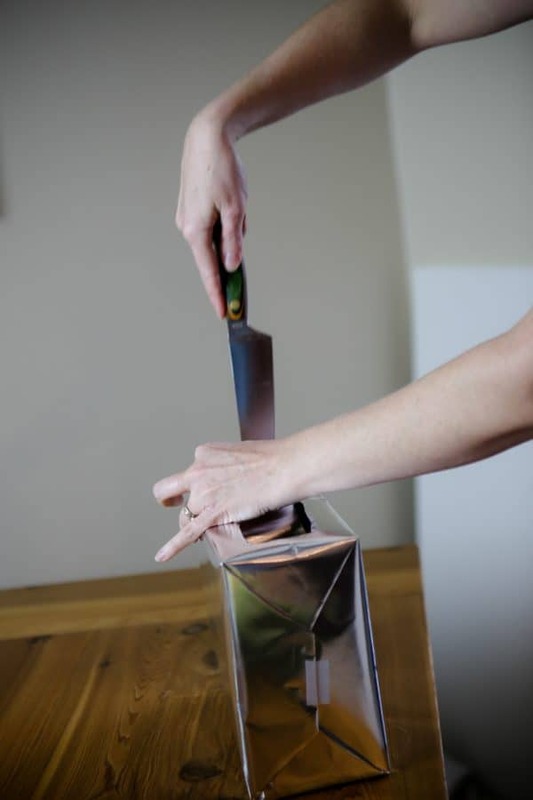 And then use a knife to cut out the paper where the hole in the box is. 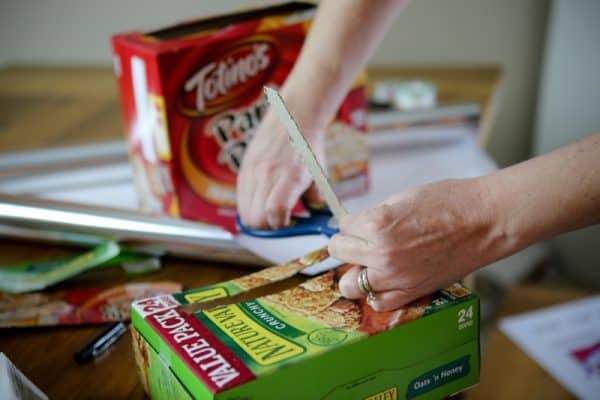 Then do the same thing with the smaller box, cutting the hole for the bottom of the box and the mouth. 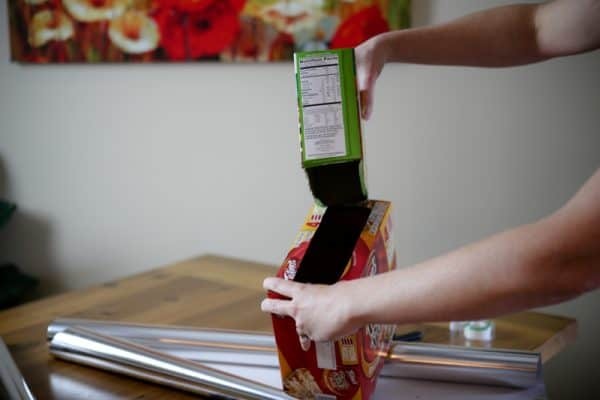 Then you connect them with some packing tape. I connect them just in the back. 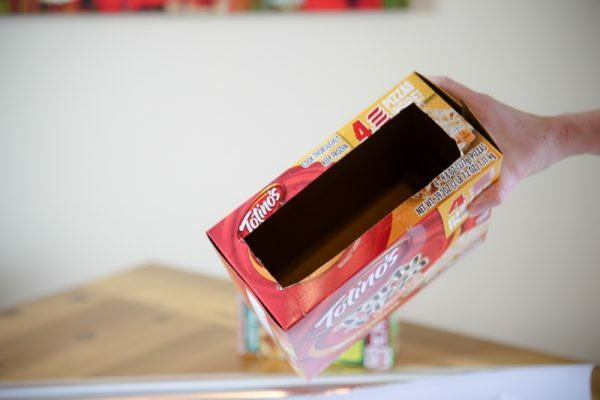 That way you can flip up the head to retrieve the box tops! The next part is the fun part, let’s decorate! 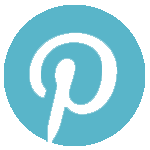 This is a super fun project you can do with your kids. Didn’t he turn out super cute! 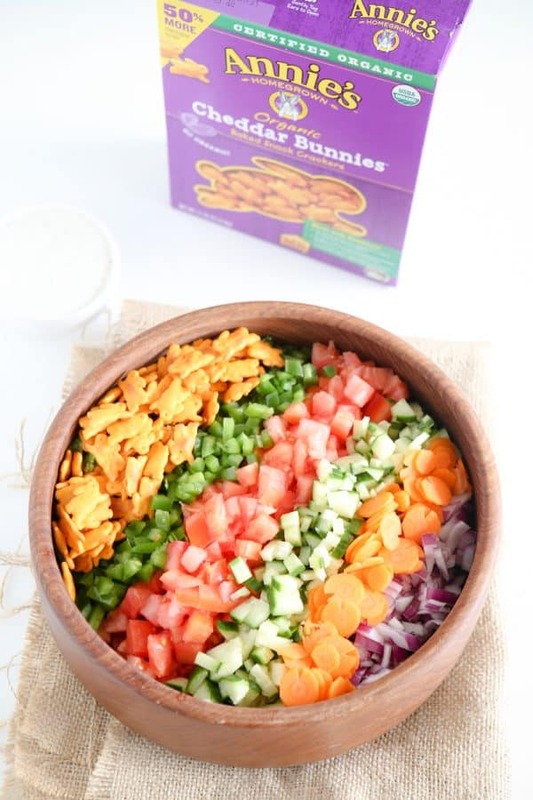 And now that you’ve worked up an appetite how about a Cheddar Bunnies Chopped Salad? 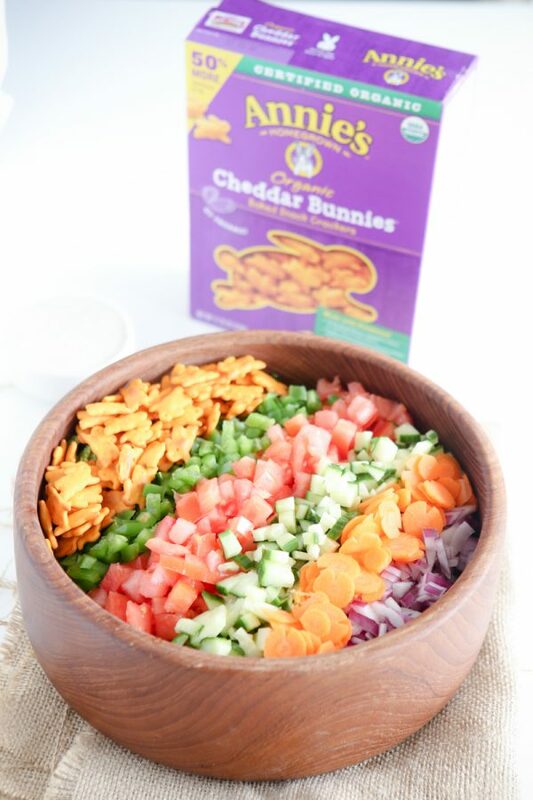 And with the Annie’s™ Cheddar Bunnies we made this delicious chopped salad! It’s easy, pretty and nutritious too. And since it’s filled with Annie’s™ Cheddar Bunnies, it’s fun for kids too! My son likes to call this the rainbow salad. It’s so pretty and fun to make too! You just chop everything up and orange it like so! Then when your ready to serve let the kids have fun tossing the salad. Place romaine lettuce in large bowl. Then place tomatoes, cucumbers, onion, green bell peppers, carrots and Annie's™ Cheddar Bunnies in strips on top of lettuce as shown. Serve with ranch dressing and enjoy! 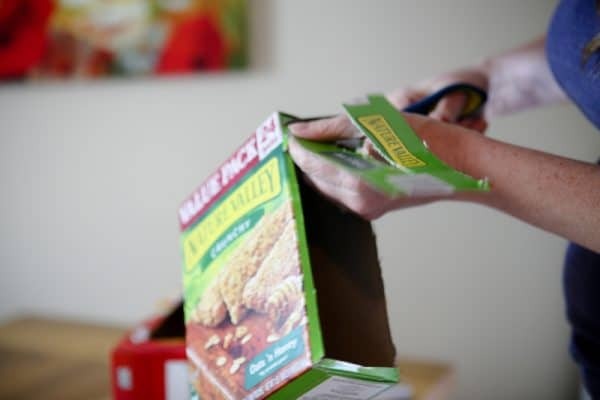 That is seriously a cute idea and great way to save box tops!